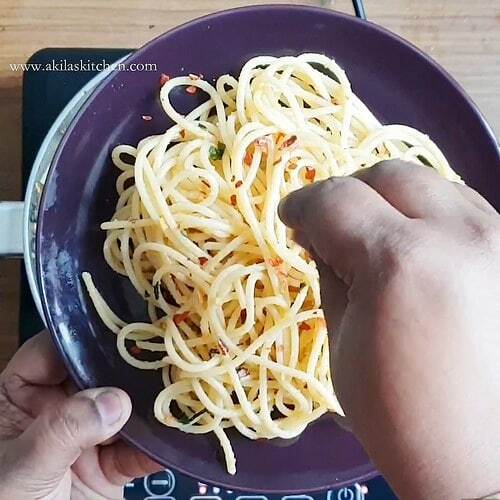 Spaghetti Aglio Olio Recipe with easy step by step instructions and video for your easy understanding. 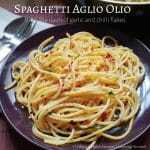 Spaghetti aglio olio recipe is one of our family favourite recipe among the other pasta and Macroni recipes. This spaghetti aglio olio I tasted after coming to singapore only and I just fell in love with it at the first taste itself. 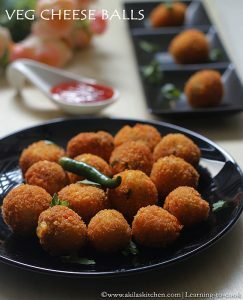 After I come to know the recipe of this, I was so surprised that it needs very little ingredients yet the tastes is so so awesome. 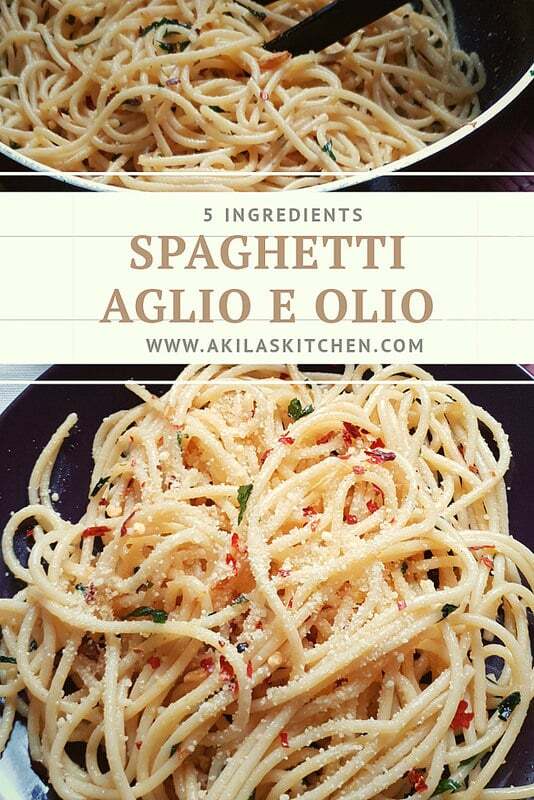 This spaghetti aglio olio is made with just five ingredients and very very easy as well as tasty. This can be given as a lunch box recipe for the kids and assure they will definitely love it and empty their lunch box for sure. 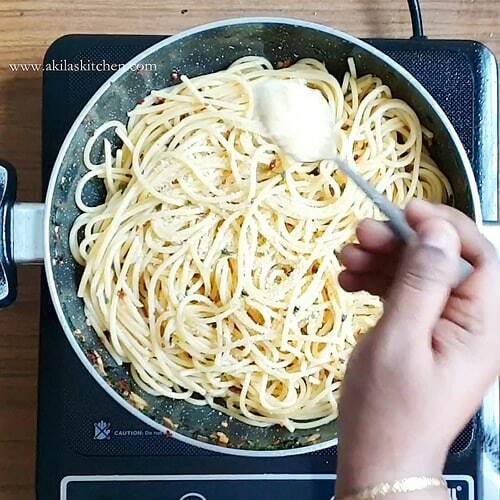 If you like the pasta and spaghetti recipes, then do check out the other pasta and macaroni recipes in our blog like Pasta payasam and Masala pasta. I will be preparing more pasta and macaroni recipes in coming days and post soon. So let’s see the preparation of the spaghetti aglio olio recipe. 1. In the pan add enough water and a teaspoon of olive oil and a teaspoon of salt. 2. 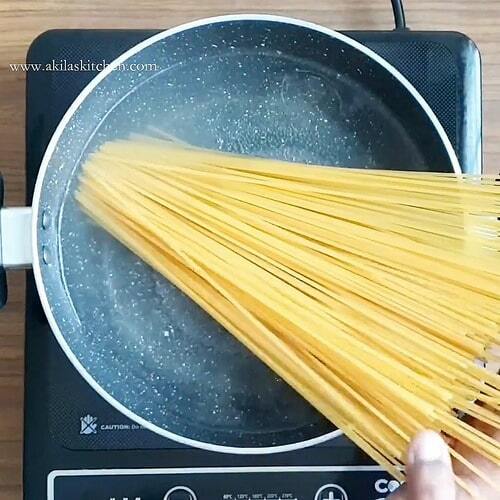 When the water is boiling add the spaghetti. 3. Cover and cook until the spaghetti is well cooked. Here I have used angel hair spaghetti. 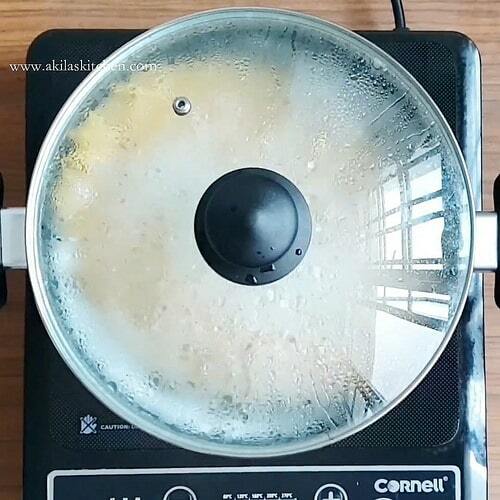 You can add any type of spaghetti. You can either follow this instructions or cook the spaghetti according to the instructions given in the spaghetti packet. 4. No the spaghetti is well cooked. Filters the water and keep aside. 5. Now add the 6 tablespoon of olive oil. 6. When the oil is hot add the garlic cloves and fry it. Do not over fry and turn it black. away. 7. Now add the chopped parsley leaves and give a quick fry. 8. 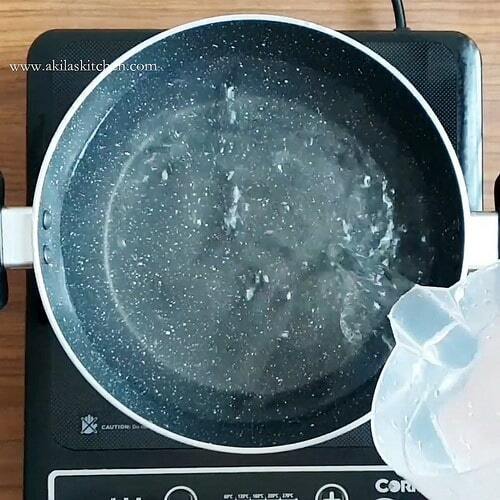 Add the chili flakes and again give quick fry. 9. 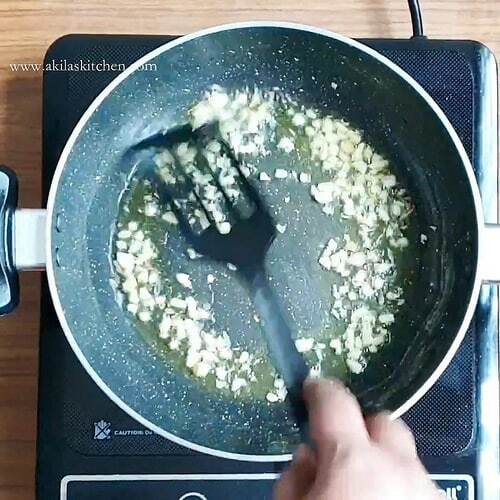 Mix filtered spaghetti and stir them well so that the garlic and the chili flakes or mixed fully. Adjust the salt if needed. 10. Add the parmesan cheese and mix again. So that the cheese is well coated. 11. 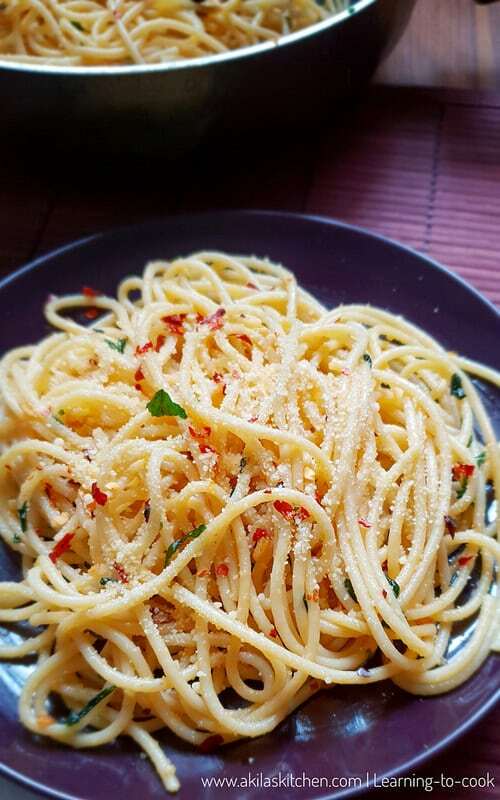 Serve in a plate and sprinkle some more parmesan cheese and chilli flakes for extra flavour. In the pan add enough water and a teaspoon of olive oil and a teaspoon of salt. 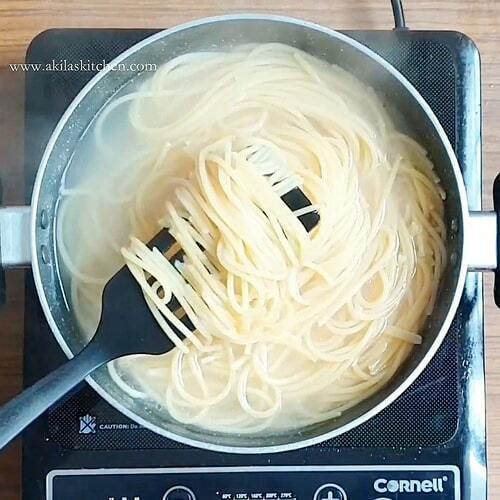 When the water is boiling add the spaghetti. Cover and cook until the spaghetti is well cooked. Here I have used angel hair spaghetti. 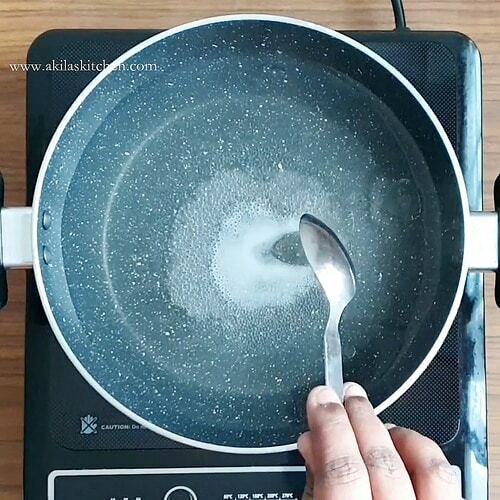 You can add any type of spaghetti. You can either follow this instructions or cook the spaghetti according to the instructions given in the spaghetti packet. No the spaghetti is well cooked. Filters the water and keep aside. 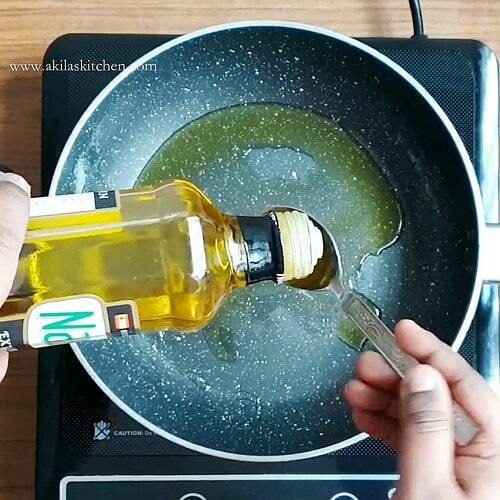 Now add the 6 tablespoon of olive oil. When the oil is hot add the garlic cloves and fry it. Do not over fry and turn it black. away. 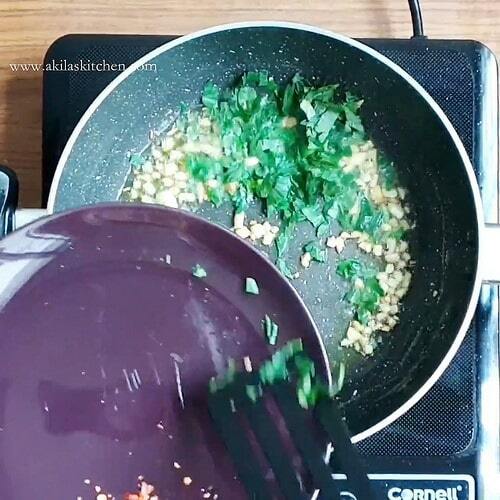 Now add the chopped parsley leaves and give a quick fry. 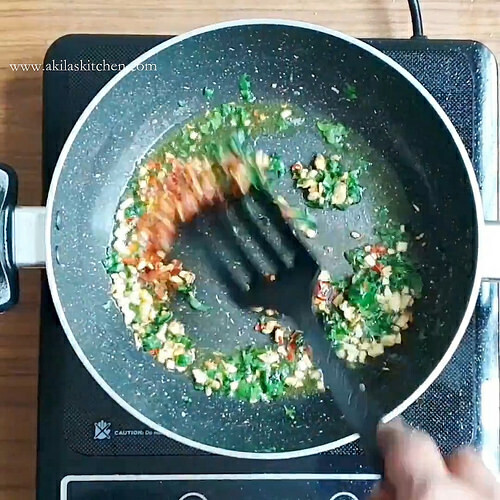 Add the chili flakes and again give quick fry. 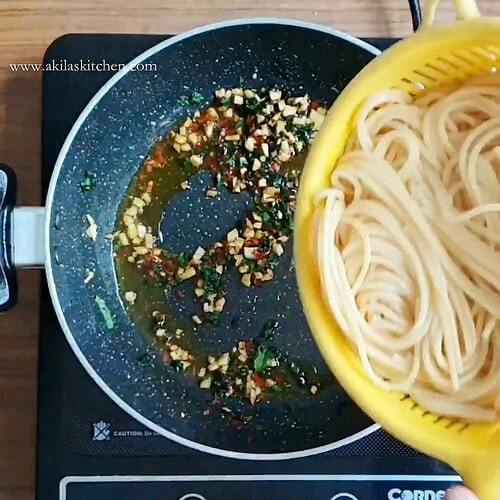 Mix filtered spaghetti and stir them well so that the garlic and the chili flakes or mixed fully. Adjust the salt if needed. Add the parmesan cheese and mix again. So that the cheese is well coated. 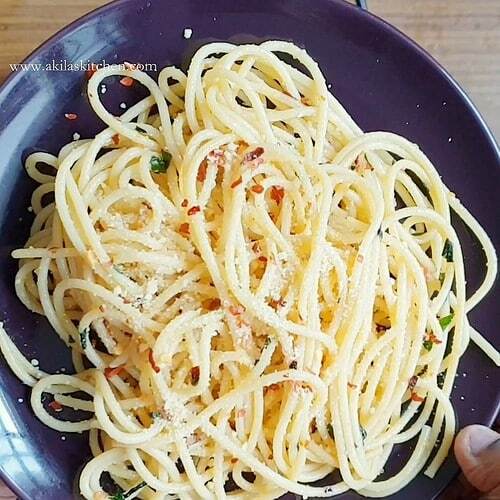 Serve in a plate and sprinkle some more parmesan cheese and chilli flakes for extra flavour. 1. Parmesan cheese gives a nice flavour and taste. So don’t reduce the quantity. 2. 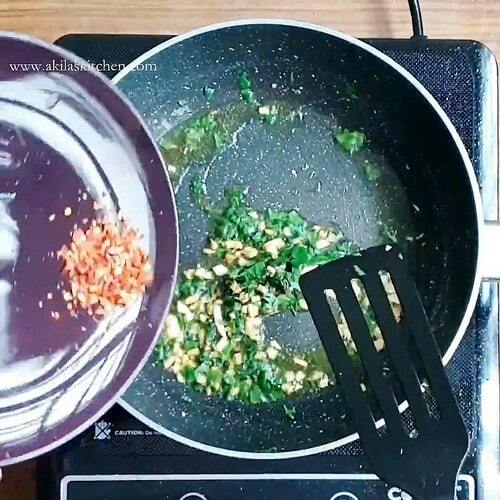 Adjust chilli flakes according to your spice level. 3. If you do not have chilli flakes, add the nicely chopped fresh red chilli. 4. 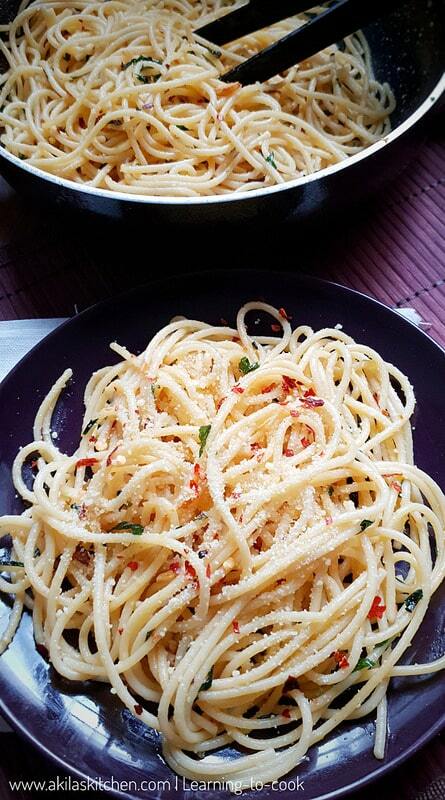 Try to use Olive oil as it gives great taste to these kind of continental (pasta) recipes.